Update: Paramount has clarified that, while Bay’s production company Platinum Dunes is producing the project, Bay himself is not involved. His production partners Andrew Form and Brad Fuller will produce the Dora the Explorer movie. The original story follows. What a world we live in. What a time to be alive. Michael Bay, he of the most explosive explosions and bulgiest bulging biceps, is set to produce a live-action Dora the Explorer movie. Natch. The project is shaping up at Paramount’s new Paramount Players division, where Bay and his Platinum Dunes partners Andrew Form and Brad Fuller have signed on to produce a live-action adaptation of Nickelodeon’s popular children’s series. The Muppets and Neighbors director Nick Stoller has been recruited to pen the script for the project, which THR reports will see Dora aged up from her seven-year-old TV roots. While story details are being kept under wraps, the live-action film will reportedly center on a teenage Dora, who moves to the city to live with her cousin Diego. 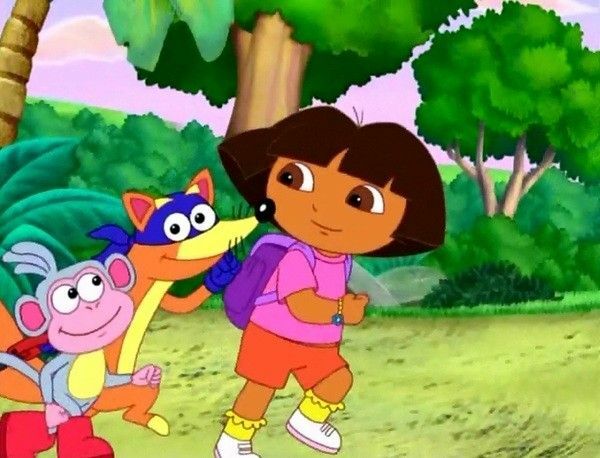 The Dora the Explorer movie has been in the works at the studio since 2015, when the studio was developing with Puss in Boots writer Tom Wheeler and producer Mary Parent (The Revenant, The SpongeBob Movie). The project stalled out, but with Stoller and Platinum Dunes on board, Dora may have new adventures afoot yet. No release date is set, but the report notes that Paramount is keen on the project and eyeing a 2019 release date, which means the wheels should start spinning on this one pretty fast. Dora the Explorer ran on Nickelodeon from 2000 to 2014, following the adventures of a bilingual American Latina who joined her monkey, Boots, on quests that featured an interactive audience element to solve new puzzles and riddles in every episode. It was a hugely profitable property for the network, launching tons of games and merchandising opportunities, so it was only a matter of time before the material made its way to the big screen. That, we all saw coming. The fact that Michael Bay would be involved, well that’s a mystery only Dora could solve.